Mitchell D. Dean has extensive civil litigation experience in the areas of public entity liability, employment litigation, civil rights and police liability, insurance defense, and inverse condemnation. He has successfully tried numerous cases in state and federal courts. Mr. Dean is a member of the American Board of Trial Advocates (ABOTA). ABOTA is a national invitation-only organization. Prospective members must have extensive jury trial experience, possess additional litigation experience, and exhibit the virtues of civility, integrity and professionalism. In addition to his extensive litigation work, Mr. Dean has served as Judge Pro Tem in San Diego courts for several years. He has been an arbitrator and member of judicial settlement conference panels. Mr. Dean served on the Board of Directors for the North County Bar Association and continues to teach for the People’s Law School, sponsored by the North County Bar Association. Mr. Dean received his Bachelor of Arts degree in Psychology from the University of California, San Diego, and his J.D. from the University of San Diego, where he served as staff writer for the California Regulatory Law Reporter. Mr. Dean successfully defended the City of Encinitas at trial against an inverse condemnation lawsuit filed by three bluff-top homeowners following a much-publicized landslide and bluff failure along Neptune Avenue. 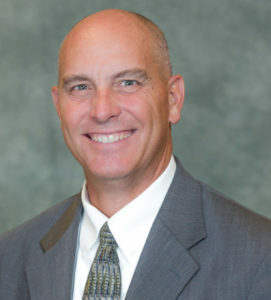 Mr. Dean has successfully defended the City of Carlsbad, and several of its police officers, in multiple Federal Court trials in cases alleging excessive force and false arrest. Mr. Dean teamed up with partner Robert Brockman in successfully defending the City of El Cajon and its police department from Federal Court claims of excessive use of force in a police shooting incident. Mr. Dean successfully obtained a trial defense verdict for three Chula Vista Police Officers. This was a civil rights case in which it was claimed the officers used excessive force in the shooting and death of a suspect. Mr. Dean was lead trial counsel for the City of San Diego in a sexual assault case against a police officer. Ultimately, the case was settled after aggressive and wide-ranging discovery and dispositive motions. At the time of settlement, all the individual defendants had been dismissed via motions for summary adjudication and the case was set for a trifurcated trial. More recently, Mr. Dean has tried a series of four FEHA and Labor Code employments cases for the City of Carlsbad. I this series of trials, he obtained two non-suits and two jury defense verdicts. Click here to see more.